Wimberley Texas - January 17th, 2008 - Adding to a new environmentally friendly trend in vacation fun (similar to the bungee jumping craze of days gone by) Wimberley Zipline Adventures is a walking tour and thrill ride high between two mountains where you glide on a series of 5 wire cables that start at 250 ft. and go to 875 ft. long at up to 100 ft. above the ground with 15 mile views. The owner, Michael Robinson said, "my wife and business partner Kristy and I went on vacation to Belize last year and rode on a zip line canopy tour there." "It was so much fun, and showed so much of the diverse ecology of Belize, that we decided to start a zipline of our own here in Wimberley Texas." The Robinsons teamed up with Jim and Cheryl Turner of Wimberley. The Turners, bring their extensive construction background and their sensitivity to local environmental issues based on construction footprints. Jim Turner told the local city council last spring, "I am very impressed that the tour has very low impact on the land and the business uses no electricity, (other than batteries), and has no running water or septic system". The property borders Pierce Creek which is a wet weather creek on a solid limestone bottom. The tour starts with flight school where they outfit you with the proper gear of a mountaineering harness, lanyard, and pulley system to teach you the techniques for safe high flying fun. After flight school its off to an Eco walking tour that explains the local geography and tells of the plant and animal life, a short history of the Wimberley area itself, the ranch that the tour sits on, and other interesting facts while you gaze at wonderful 15 mile views of the valley below. Wimberley is a Texas destination that entertains 100's of thousands of visitors a year with all kinds of environmentally friendly fun. They have crystal clear water with the Blanco River and the Blue Hole on Cypress Creek. Wimberley Zipline Adventures is a appointment only event and starts March 1st, 2008. Appointment times start at 9A.M. and go every two hours with the last start at 3P.M. Monday thru Sat. Sunday hours start at 11A.M. The cost is $60.00 per person. The minimum age is 10 years old to senior citizens; as long as their customers can walk unassisted ½ mile over uneven uphill terrain. Weight limits are 90lbs. to 275lbs. 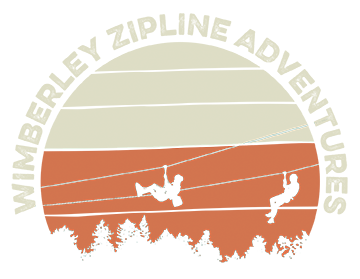 Wimberley Zipline Adventures has been under the planning and construction phase for over a year and is excited to bring to central Texas a new and thrilling destination for visitors. Zipline Adventures media tours are presented upon request.